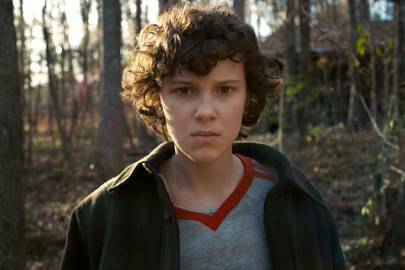 Prepare to journey back to the upside-down world as Netflix have just dropped the first trailer to season 3 of Stranger Things - and it seems the kids are going to have to grow up pretty fast. 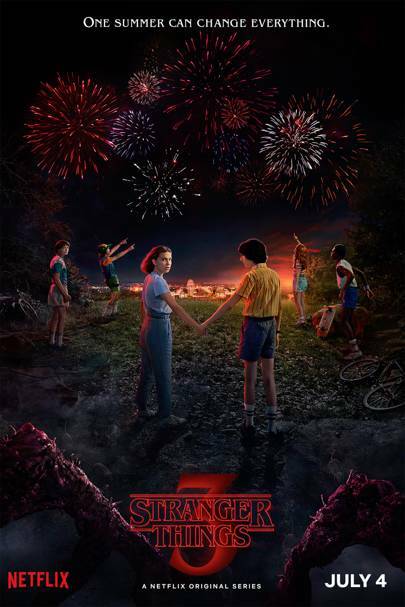 Set in summertime of 1985 in the build up to Fourth of July celebrations in the town of Hawkins, Indiana, the season 3 trailer shows Eleven (Millie Bobby Brown), Mike (Finn Wolfhard), Lucas (Caleb McLaughlin), Max (Sadie Sink) and Will (Noah Schnapp) throwing a surprise party for Dustin’s (Gaten Matarazzo) return home, who, unsurprisingly, is a little freaked out by the 'welcome home' prank. "We’re not kids anymore," Mike says at one stage. "I mean what did you think, we’re just gonna sit in my basement all day and play games for the rest of our lives?" The much-anticipated show will be returning to screens on July 4, 2019, when the new season will become available to stream. We're not sure we can wait that long! The date revelation comes after Netflix released a season 3 teaser listing all the brand new episode titles for everyone's favourite supernatural series, Stranger Things. •	Suzie, Do You Copy? While we still have to wait until 2019 for season 3 to air, we do know that the next instalment of the sci-fi hit is set in summer 1985. Is there an end to her talent? As ever, fans have been quick to speculate about what the episode names could mean ahead of the series premiere. And, safe to say, their theories are pretty creative. "The titles ‘Mall Rats’, ‘The Source’ and ‘The Bite’ are all extremely connotative of some sort of plague spreading, with most suggesting a zombie plague,” wrote Redditor , while another on Twitter, "WTF WITH THE FIRST ONE??? SUZIE WHO THE HELL IS SUZIE??" Here's everything we know about season 3 so far. This girl just gets better. Teasing the release of season three, Netflix released a previous trailer for the award-winning show with a 1980s throwback Mall commercial. Kitsch? Yes! Beyond great? Yes! Showcasing the new Starcourt Mall in Stranger Things’ location, Hawkins the infomercial describes the shopping centre as, “a shining example of the American dream.” Well, if the American dream includes stores like The Gap and Claire’s at their 80s peak then sign us up for a trip! The mall, it appears, is set to provide a new location for Stranger Things alongside the infamous Arcade, the lab and the school. But the mall isn’t the only new addition to the show as the commercial teases the appearance of Hawkins newbie, Robin who is played by Maya Hawke and will play Steve’s new co-worker at Scoops Ahoy Ice-cream Shop. Their uniform comes complete with sailor hat and neckerchief. Chic, much? However, whilst we get beyond excited about the show, you might want to curb your enthusiasm until at least December as at the end of the trailer, it states that the mall is coming, ‘next summer.’ So you may have to wait until summer 2019 to see season three of Stranger Things. Woe. Is. Us. 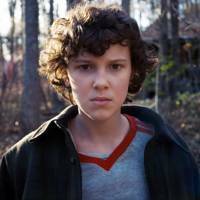 Stranger Things started filming season three in April and ever since there's been much speculation about the plot twists the season will take, Shawn Levy, Executive Producer of Stranger Things, decided to set the record straight. Did Millie Bobby Brown just confirm she has a boyfriend with this adorable Instagram snap? "Mike and Eleven and are going strong, so that’s a relationship that continues, and same with Mad Max and Lucas," he told the publication. How cute?! Even though that was enough to get us excited, what he revealed next will get fans (and meme pages) buzzing... Dad Steve is back in a big way! "We’ll definitely get to see some more of Steve Harrington in season three, and I’ll just say we won’t be abandoning the Dad Steve magic. I don’t want to say much more, but I literally feel that we were walking along and we stumbled onto a gold mine with Dad Steve," Shawn confirms. Our favourite actors are probably just as thrilled as we are about the new season, because not only are they all signed back on, they also got a massive pay rise to continue starring in the show. A source confirmed to early this month, that 'intense' negotiations wrapped up at the end of last week, and that the child cast 'are worth roughly 12 times their previous deals'. As for the adults in the show, Netflix has renewed their contracts at $350,000 per episode. Wow. The source also explained to the publication that the cast is divided into different pay tiers. Winona Ryder and David Harbour, the 'adults', are considered A-tier and are in for $350,000 per episode next season. The 'kids', or B-tier, includes Finn Wolfhard, Gaten Matarazzo, Caleb McLaughlin and Noah Schnapp, who will cash in $250,000 per episode. 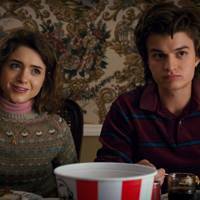 And the C-tier - the 'teenagers' like Natalia Dyer, who plays Nancy, Charlie Heaton, who plays Jonathan, and Joe Keery who plays Steve - are earning roughly $150,000 per episode. As for our lead, Millie Bobby Brown? Well, the star of the show does not fall into the B-tier along with her mates. 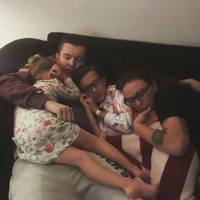 Last year, Millie separated herself from the rest of the cast during the renegotiation. And her crew has been tight-lipped about the new deal, which is rumoured to be between $250,000 and $300,000. Production on season three is scheduled to begin April 23 - and as you can expect, there is a lot of speculation about what's in store. At the beginning of the year, we were given an extra special bit of information that got us totally hyped - there will be THREE new characters! According to That Hashtag Show, the trio are heading to the town of Hawkins. Their source has even given the names of the characters, but these could potentially change. Mayor Larry Kline is apparently a classic 80s politician. Driven only by his own interests, he's described as 'pathetic'. The studio is looking for a male aged between 40 and 60 to fill the role. Bruce is a sexist, overweight and bedraggled news reporter in his 50s, and Patricia Brown is dubbed as the sweet neighbourhood elder. The part will be played by a woman in her 70s and she's apparently going to offer advice to the kids as she potters around her garden. The information hasn't been confirmed by Netflix yet, but we're stoked to see what comes of it! 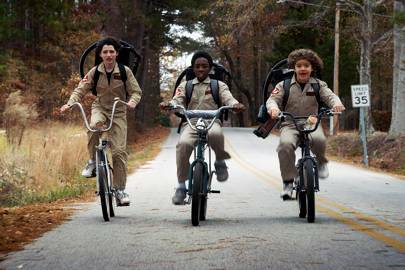 Netflix officially greenlit a third season for Stranger Things on December 1 2017, which isn't a huge surprise - especially following the success of the second season. 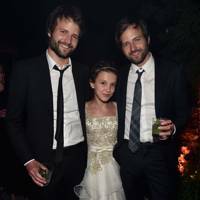 While discussing the second season, the Duffer brothers revealed that they had so many ideas that they've already got stuff lined up for season three. "As the episodes were written by the Duffers, they realised that there was too much story for nine episodes. So it forced us to be judicious in which stories we tell this season," executive producer Shawn Levy told . "So one of the surprises was, not all of our grand ideas are going to be serviced in one season... If we had 40 ideas going into the season, 30 [we] are going to pick, and the rest go in the back of our head for, hopefully, future chapters." In fact, the creators have even teased a fourth series while executive producer, Levy has hinted there could be a fifth. Speaking to EW, Levy said: "Hearts were heard breaking in Netflix headquarters when the brothers made four seasons sound like an official end, and I was suddenly getting phone calls from our actors' agents. The truth is we're definitely going four seasons [sic] and there's very much the possibility of a fifth. Beyond that, it becomes I think very unlikely." Ross Duffer added: "If we're able to, there will be at least four, there could be more. I think there's going to come a point where why aren't these people leaving Hawkins? Like we're going to stretch credibility. It wasn't intended to be a seven-season thing." The much-anticipated show will be returning to screens on July 4, 2019. We're not sure we can wait that long! 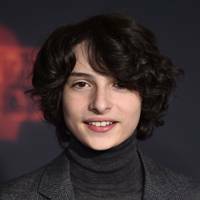 Stranger Things' Finn Wolfhard claps back at fans calling him "rude"
One of the major highlights of season two was the episode titled The Lost Sister which saw Eleven branch out of Hawkins and head to Chicago to find her telekinetic sister, Kali (aka Eight). 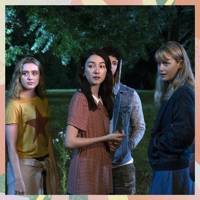 This established a storyline outside of Hawkins which is likely to be revisited - especially since Eleven and Eight have unfinished business. "It feels weird to me that we wouldn't solve [Kali's] storyline," Matt Duffer told The Hollywood Reporter. "I would say chances are very high she comes back." The Mind Flayer isn't done with the kids just yet. The final episode Stranger Things 2 may have seen Eleven shut the gate on the Mind Flayer, but according to the Duffer Brothers, that isn't the end of it. 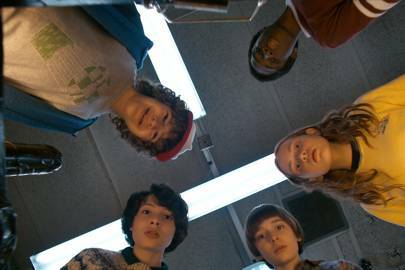 "They’ve shut the door on the Mind Flayer, but not only is it still there in the Upside Down, it’s very much aware of the kids, and particularly Eleven," they revealed. "It had not encountered her and her powers until that final episode. Now, it knows that she’s out there. 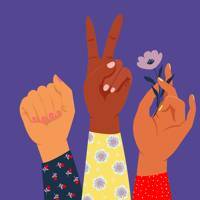 We wanted to end on a little bit of an ominous note." Well, they can certainly tick that off. It will be more about the characters and their individual storylines. As much as we loved all the creepiness of the Upside-Down, future seasons are keeping the characters front and centre. "As much density of story as our show has, we have to service the characters — and the moments and relationships between characters — above everything," said the show's producer, Shawn Levy. "If we stop being character-anchored, and we become pure genre, I think we take the beating heart out of Stranger Things, and we take the thing that people maybe don't write articles about the most, but I think it's what they love the most — these characters on screen." Matt Duffer added: "It's not necessarily going to be bigger in scale. What I am really excited about is giving these characters an interesting journey to go on." Because the actors playing the children are ageing it's also expected series three will start a year after series two ends. Matt told The Hollywood Reporter: "Even if we wanted to hop into the action faster, we couldn't. Our kids are ageing. "We can only write and produce the show so fast. They're going to be almost a year older by the time we start shooting season three. It provides certain challenges. You can't start right after season two ended. "It forces you to do a time jump. But what I like is that it makes you evolve the show." The gang will be off to High School next year and along with that comes drama, puberty and more girl trouble. While Lucas, Mike and even Will (who was that girl at the school dance and will she be joining the 'party'?) may have already figured out the latter, we reckon season 3 will see Dustin blossom into Steve's mini me. Oh, and surely Nancy and Jonathan will finally become official? Although we'll always be #TeamSteve after his heroic role in season 2. As for bad boy Billy, we reckon there's a lot more to him than meets the eye. Will he start an affair with Mrs Wheeler (aka Mike and Nancy's mum) or will he have a bad-boy-one-good type transition like Steve? One thing is for sure - we'll be seeing more of Lucas's sassy younger sister Erica Sinclair, and to be honest, that's all we need to know.